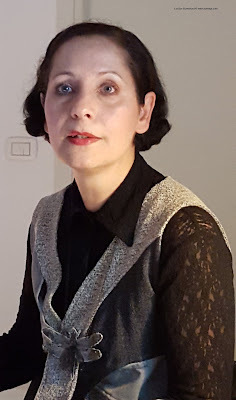 This week, Turin fashion designer, Adriana Delfino held the second presentation about French designer, Madeleine Vionnet. Adriana will present Elsa Schiaparelli on Tuesday, Dec 1st @6:30pm and on Wednesday, Dec 2nd @10:30am. As Vionnet is Adriana's favorite designer, we just couldn't miss, and a whole new world of fashion architecture opened to us under Adriana's guide. 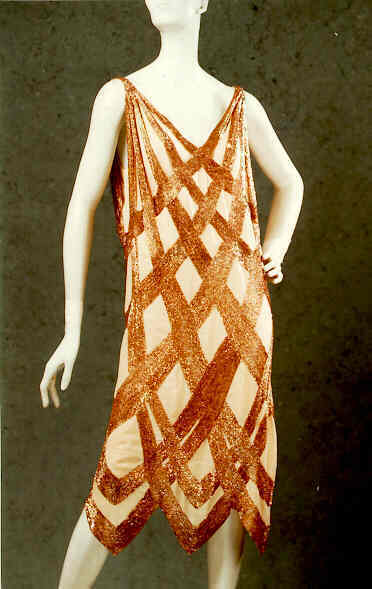 Because of the many movies we all tend to consider Coco Chanel as the main female fashion innovator, however, Madeleine Vionnet was years ahead of her times for many things, and as a highly educated woman, the fashion style she developed is still unique, timeless and virtually impossible to copy! No wonder Adriana is so fascinated by her. A bit older than Chanel, Madeleine Vionnet comes from a lower middle class family, so she can't afford studying despite her exceptional high I.Q., so at 12, she starts her seamstress apprenticeship and by her 20s she is already a prémière - a top tailor. After a short marriage, she leaves for London where finally gets hired by one of the tailor's shops that serves the royal family. This is considered her "British fashion apprenticeship", because back then, British women had already started the emancipation process and wore more casual clothes, due to their many activities. Many rode horses, did gardening and corsets didn't suit their lives anymore. About corsets, in an interview granted to Bruce Chatwin, Madeleine Vionnet once said "she didn't like to wear corsets so why should she have inflicted it to other women?" Ms Vionnet was aware of her high tailoring skills, although she considered Balenciaga - the fashion purist, as the maestro, he actually looked up to her. By 1900 she comes back to Paris, where she starts to transfer her dresses on the flat plan of the paper. 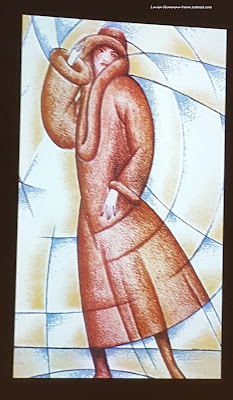 Unfortunately, we don't have any pictures of her early works, but from what we have, it is easy to understand that she had a very deep knowledge of many disciplines and a refined intellect. Unlike Coco Chanel, she never had a sponsor, she opened her business with her own savings and by associating with a group of women. Following the archeological discoveries, she reinterprets the fashion and the decorative styles she sees on statues and vases, but from a brand new approach when cutting the fabric. This is how she invents the bias-cut! This is a real revolution in fashion, as up until that time fabrics were cut either vertically or horizontally, following the grain, but not 45 degree sideways. Only collars and stoles were sometimes bias-cut because bias-cut fabric easily changes in shape. For this reason she is the first fashion designer to choose it for her dresses to accommodate women's modern needs of movement because bias-cut dresses follow the body lines in a very natural and flattering way. As WWI starts she closes her business and travels extensively, in France and Italy, where she studies everything she sees. As she gets back to Paris, she knows exactly how to build her dresses and how to cut and work fabrics. All her models are first realized on a 80cm artist dummy before being made on a real model. She visualized in the detail the structures and the geometries that she later put together. 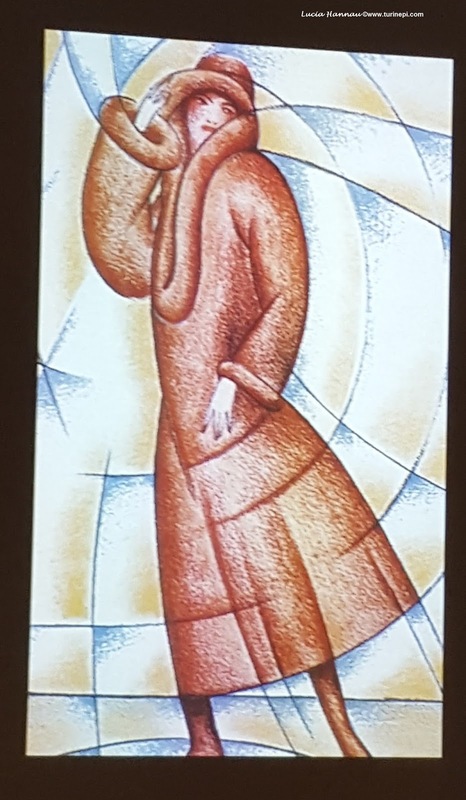 Movement and dynamism were key elements of her fashion, in fact, she applied the golden or logarithmic spiral to her creations. Her dresses were literally like the ancient Greek vases: without an end. They flowed over the woman's body in the smoothest way, almost like a second skin, and each piece of fabric was calculated and worked to the detail to better keep its shape through the time, and to best fit when worn. In Vionnet's fashion style, every single part of her dresses has a function, nothing is just an embellishment, and this is what really makes her fashion eternal and hard to place within an historical period. Vionnet is the first designer to do many things, besides using the bias-cut and the golden spiral, she collaborates with Thayaht, an Italian futurist artist for her logo, letterhead and sketches. She introduces the copyright in fashion, as up until then it wasn't considered art. She makes labels with her fingerprints and starts documenting her dresses, taking pictures from different angles. This fashion archive of her contributed to the founding of the Fashion Museum of Paris. She also invents the plissé soleil (the one where all the plates are smaller on the top and larger at the bottom to flatter the body) and the cowl neck! In 1923, she gets a new location and provides some advanced working conditions to all her workers who were mainly women: chairs instead of stools, large windows in the workshops so that there is plenty of natural light, a nursery for her workers' kids; her contracts included also paid vacations and a dentist's service. All this, way before regular women gain some rights in 1936! In 1924, she opens a prêt-á-porter fashion company in the USA, because most of her customers are wealthy Americans. Taking advantage of her bias-cut dresses that adjusted to the body shape and followed her customers' curves, she creates a collection called "made while you wait". In fact, her dresses only need to be hemmed as they stretch horizontally, on chubbier bodies and vertically, on skinnier ones. So the ladies could get their finished dress as they waited in the shop. Vogue wrote that Vionnet is over fashion, never out of fashion but rather anticipating tomorrow's fashion. To reach the level of craftmanship she requires, and to fully grasp the bias-cut, seamstresses take a three year class at her atelier's. After WWII she commits to create the Museum of Fashion founded with her donations and she finally dies in 1974, at age 99. 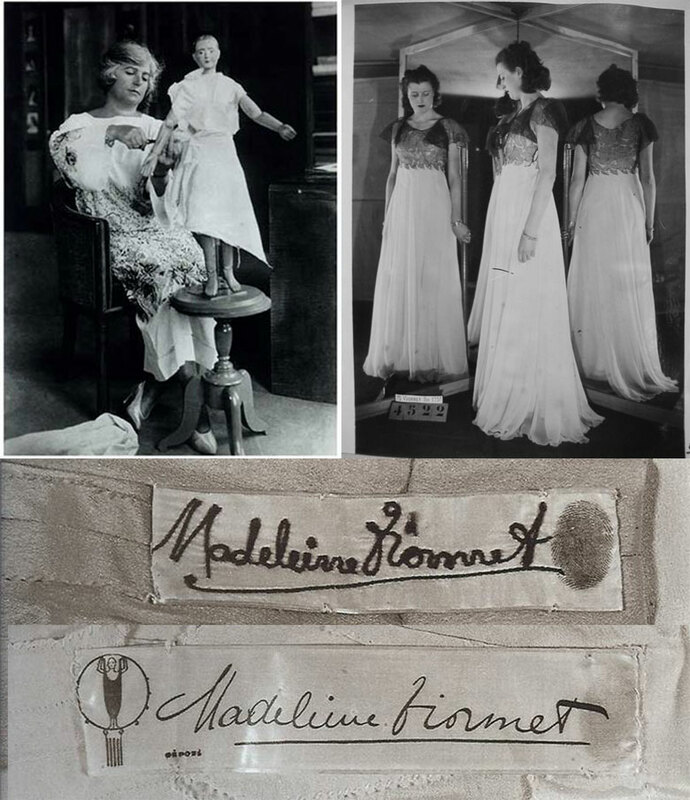 Up to 2009 her brand was dormant, then Mr Marzotto buys it and hires Rodolfo Paglialunga as creative director to revive Madeleine Vionnet's legacy. In 2012, Goga Ashkenazi bought the brand and in 2014 Hussein Chalayan takes over the creative direction. Vionnet used to say that "when a woman smiles, her dress should smile with her" and certainly if we look at her works today they are all smiling at us!